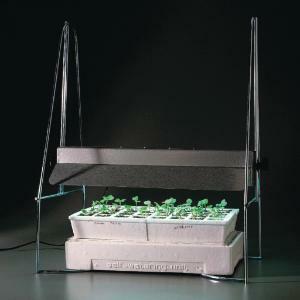 To start your seeds, and to keep them growing well, place them under this sturdy, compact plant light. 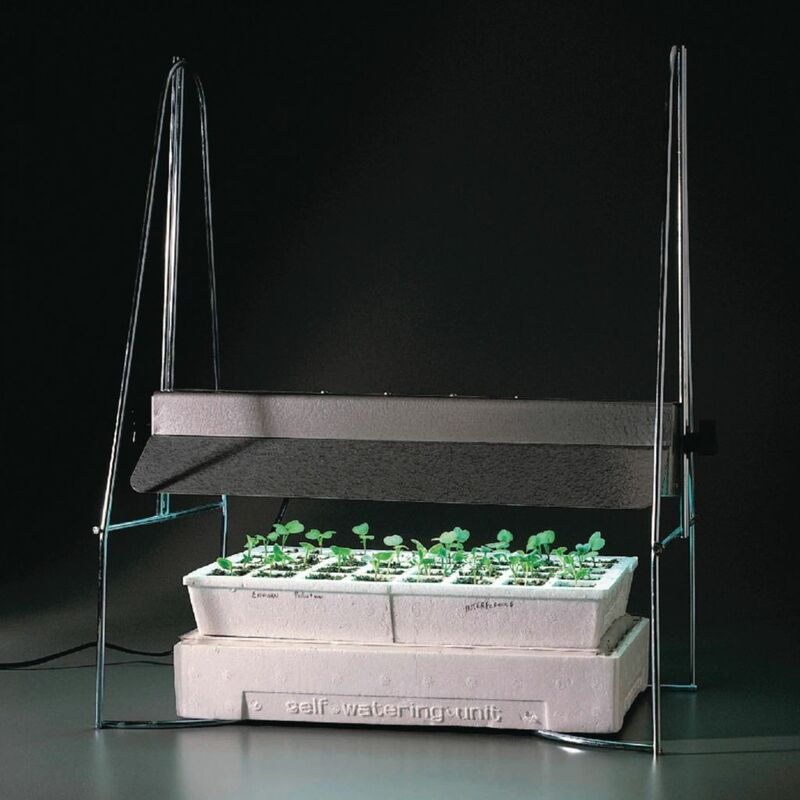 The housing holds two 15 W Gro-Lux plant light bulbs (included), and can be adjusted for a maximum height of 24" by simply moving the fixture up or down on the 1" square aluminum legs. Some assembly is required. Instructions are included.